JMS provided naval architecture, marine engineering, and shipyard management support to the Great Lakes Research Vessel Lake Guardian. The vessel was re-powered and underwent extensive deckhouse modifications to enlarge its science laboratories. JMS provided the preliminary design and wrote the technical specifications for the project. 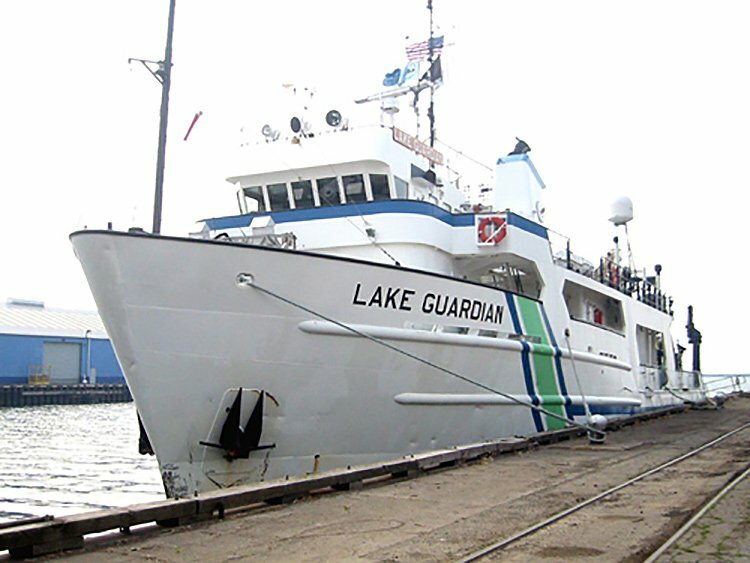 The 180-foot Lake Guardian is the largest research and monitoring vessel in the US EPA Great Lakes fleet. 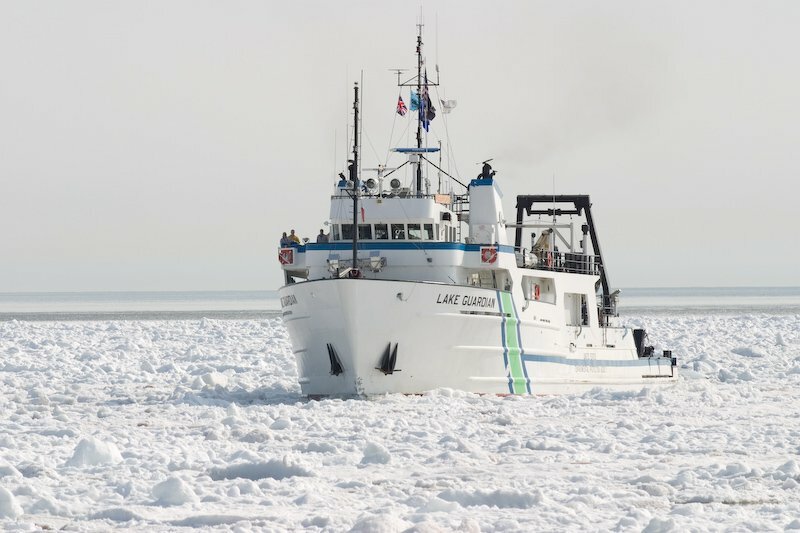 She is operated by Cetacean Marine and her science missions are carried out by the Chicago-based Great Lakes National Program Office of EPA. GLNPO monitors the state of the Great Lakes ecosystem through sampling of water, aquatic life, sediments, and air. R/V Lake Guardian is to be re-powered from two CAT D399 main propulsion engines to two Cummins QSK-38M Tier 2 12-cylinder engines with modern electronic controls and instrumentation. JMS was initially hired to consult with EPA and Cetacean Marine to evaluate various engine options. 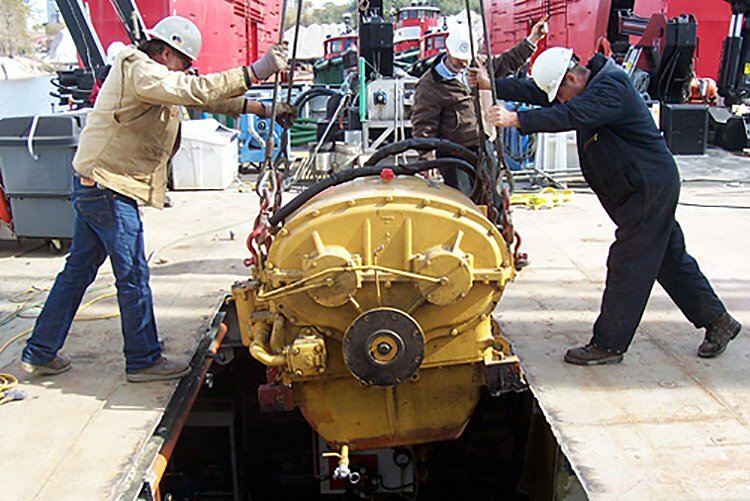 When the selection was finalized, JMS wrote the shipyard technical specification for the installation of the Cummins engines and engineered the interface between these engines and the existing systems and structure including shaft and propellers, fuel and coolant piping, and foundations. Currently the vessel operates with four temporary lab vans installed on the aft deck. While the temporary nature of these vans is meant to provide flexibility, (labs may be changed out for different missions) they are treated as permanent. These vans are being removed, and a permanent lab is being erected in their place. This will allow the vessel to have one large laboratory space with permanent structure, electricity, plumbing, and climate control. In addition, the new deck space over the laboratory provides a platform for two winches: a SeaMac winch currently installed on the aft deck will be relocated and a new Triaxus winch is being added. JMS designed the structure of the new deckhouse and prepared plans for submittal to ABS along with specifications for shipyards to bid. Great Lakes Towing in Cleveland, OH was awarded the shipyard contract to perform these modifications. JMS is assisting Great Lakes Towing by providing shipyard engineering support and completing as-built drawings. Following completion of the modifications, JMS performed an inclining experiment and stability calculations for submittal to ABS and provided a CargoMax loading program for the crew to perform loading calculations while underway.